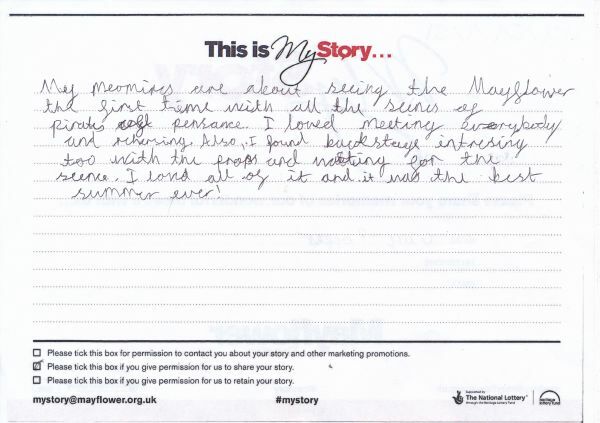 My Story Card: Guy Popper talks about performing in our Summer Youth project performance of Pirates of Penzance. My memories are about seeing the Mayflower the first time with all the scenes of Pirates of Penzance. I loved meeting everybody and rehearsing. Also, I found backstage interesting too with the props and waiting for the scenes. I loved all of it and it was the best summer ever!